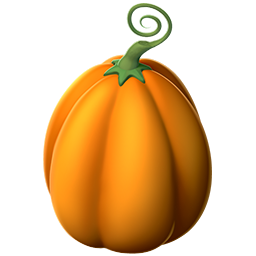 This trainer met the Pumpkin Dragon when he picked the jack-o'-lantern on its tail out of the patch. He blames its sudden roar for turning his hair white. 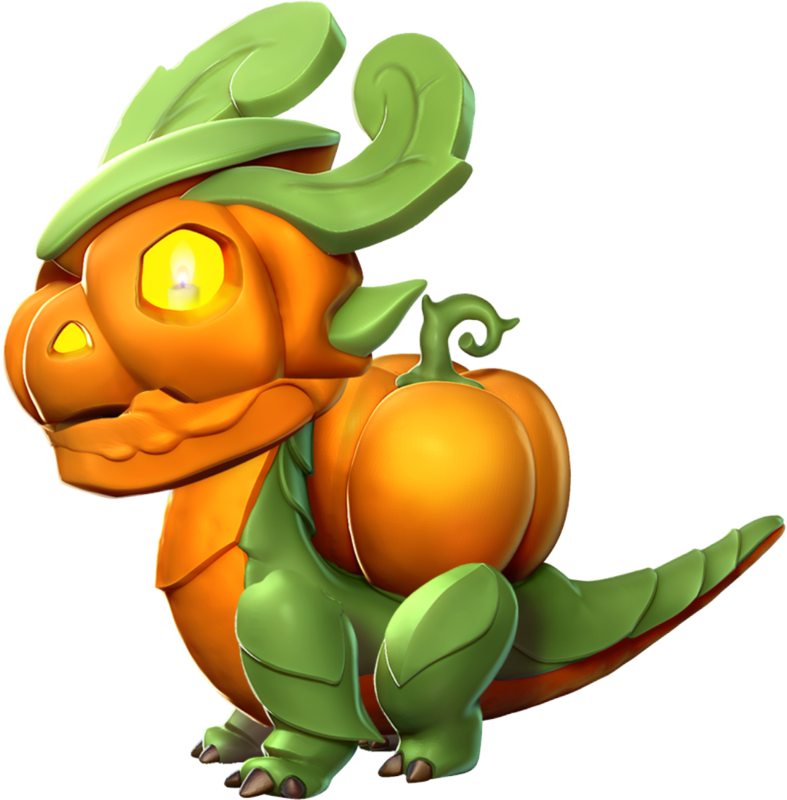 The body style of the Pumpkin Dragon is stout. 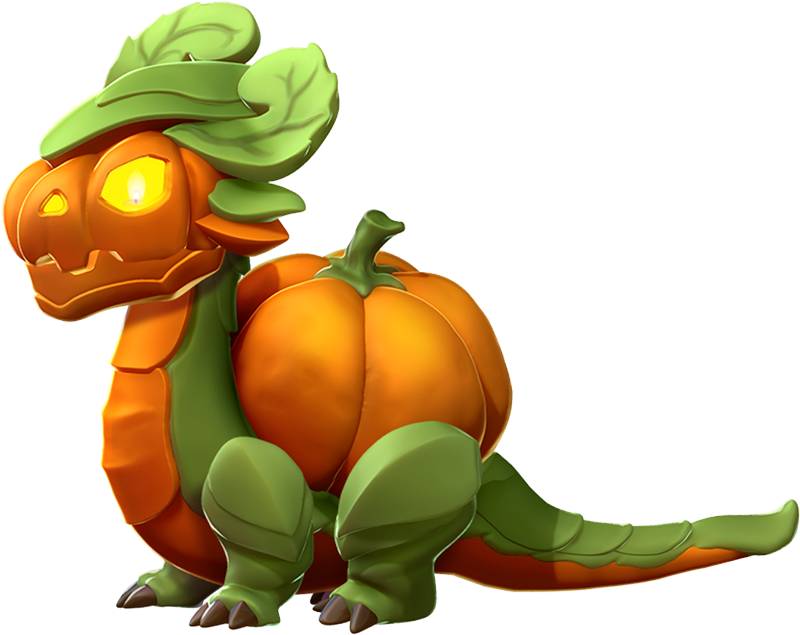 The Pumpkin Dragon is an Event-Only Dragon which can be obtained most frequently through one or more of the various events within the realm of Dragolandia. Once this Dragon is obtained and then subsequently housed on an island, duplicate eggs can be purchased through the Dragon Codex in exchange for 1,666 Gems. Breeding for this Dragon takes 16 hours while incubating and subsequently hatching the resultant egg takes 23 hours and 30 minutes. With an active VIP Status of Level 2 or higher, the breeding time is reduced to 12 hours and 48 minutes while the hatching time is reduced to 18 hours and 48 minutes. During the time this Dragon is temporary breedable, it can be bought in exchange for Gems without prior presence on the islands.